Head coach Johann van Graan said he was very proud to be part of a Munster set-up which earned a precious home quarter-final in the Champions Cup after routing Castres 48-3 at Thomond Park. 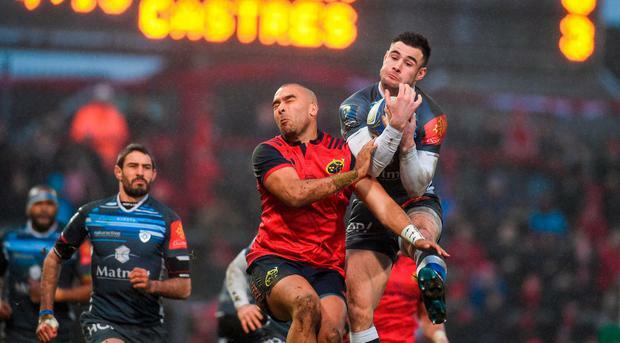 Munster overcame a three-hour delay to kick-off, caused by heavy rainfall in Limerick overnight and on Sunday morning, to claim a resounding victory which helped the two-time winners secure a record 17th Champions Cup quarter-final. French Top 14 side Toulon will visit Thomond Park for that quarter-final in April. Should Munster win at home, the Irish province will be away to either Clermont Auvergne or Racing 92 in the semi-finals. Van Graan said: "My initial reaction to earning a home quarter-final is that I am very proud to be part of this club. 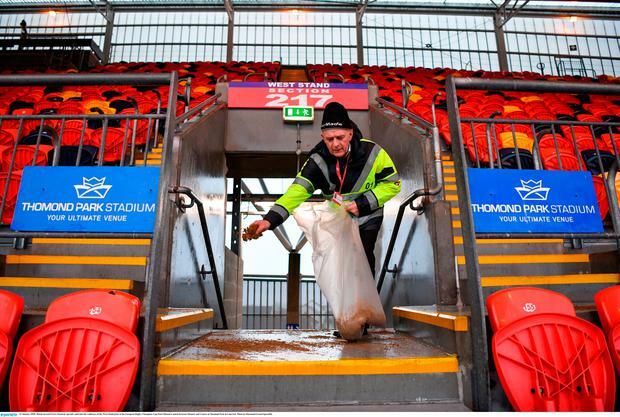 "Everyone will think about the result, the way that we did it, but to the people of Munster, the ground staff who did so well to get that field in playing condition. "For a supporter to know that this game was going to be postponed for three hours, go away, come back, stayed until late night to give the support that they did. "To the management, we had to re-adapt our diet of what we ate, our strapping times and then to the players for that performance out there, it is not the score, it is the way that we played. "My initial reaction is that I'm very proud to be part of this. That is the reason why I came here (to Munster) - to be part of something special." The South African continued: "I said on the first day when I came here for the Racing 92 game (last October), Thomond Park has got magic, the magic is what the people deliver. I am very proud to be part of this. "I am very happy about the win. I am very happy with how we as a squad handled the day. If you don't adapt on days like these (delay in kick-off), things can go wrong and I am happy with that win. "For the three-hour delay, together with manager Niall (O'Donovan) and the coaches and the senior players, we decided to go back to the hotel, treat it as a new game. Some of the guys ate again, some of the guys went for a nap. "I encouraged the guys to get away from the game for an hour, got back together, focused on our plan because initially we thought there would be a lot of water on the field, we anticipated that by 4pm a lot of water would be removed, so we had to adapt our plan again. "Well done to the management and players for the way they we adapted to the conditions of the day." No representative of Castres came into the press room for a post-match interview.